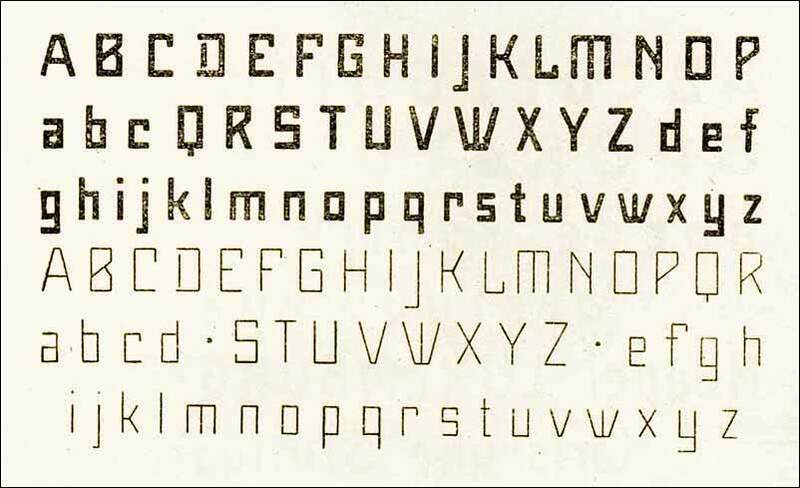 This script is found in a magazine from the Otto Maier publishing house, Ravensburg, which was issued sometime in the years shortly before WWI. The magazine is entitled ”Schriften-Sammlung für Techniker: Verkleinerte Schriften der wichtigsten Alphabete“ (Collection of scripts for technical specialists: reduced scripts of the most significant alphabets) and published by Karl O. Maier. The original copy, produced by means of a galvanized plate, is just 7 centimeters wide. It served as the model for technical professions in which, at that time, the captions of drawings were still done by hand. The characters have been scanned, digitized and greatly magnified. In »Maier’s Alte Nr. 8« special attention was given to ensure the ”uneven“ edges, typical of handwritten script, remained effectively noticeable even in the digitized form. 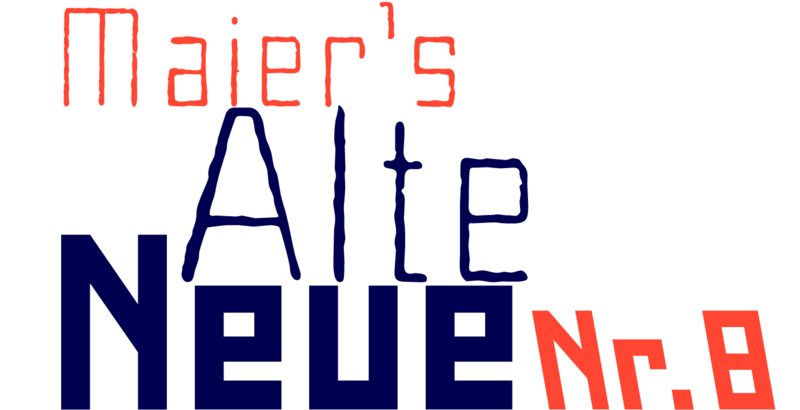 As a result, this ”technical“ font retains a handmade touch, while »Maier’s Neue Nr. 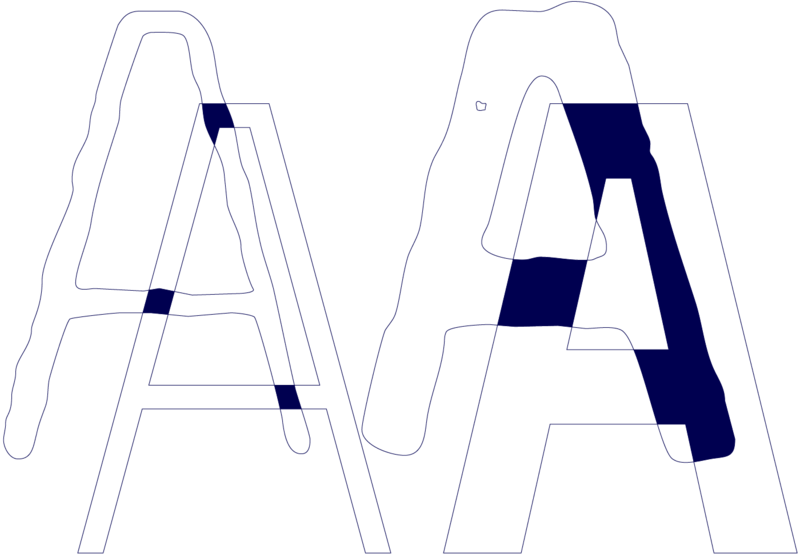 8« is the clean version with exact contours. The Art Nouveau forms, which are characteristic for the period of origin around the turn of the century around 1900, look especially pretty. The high degree of abstraction also seems strange in Maier&apos;s No. 8, especially when the age of the original is known. 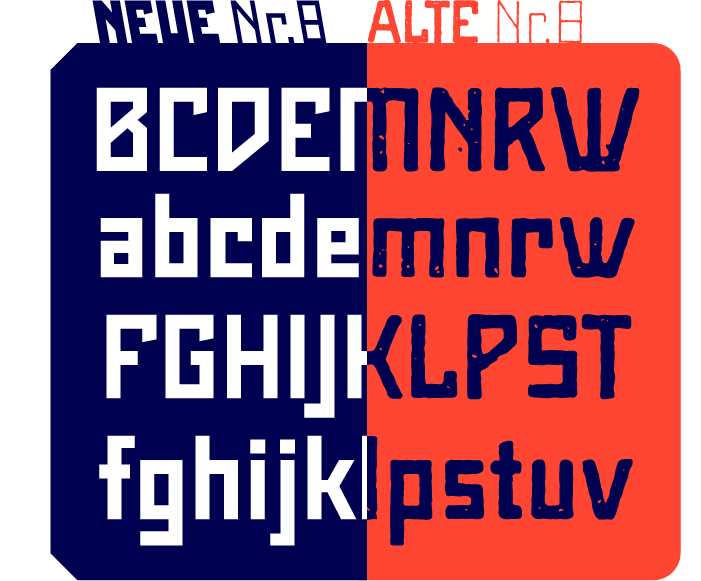 It is generally assumed that it was not until the Bauhaus in the late 1920s that such "modern" typefaces were created. Maier&apos;s No. 8 is a generation older! 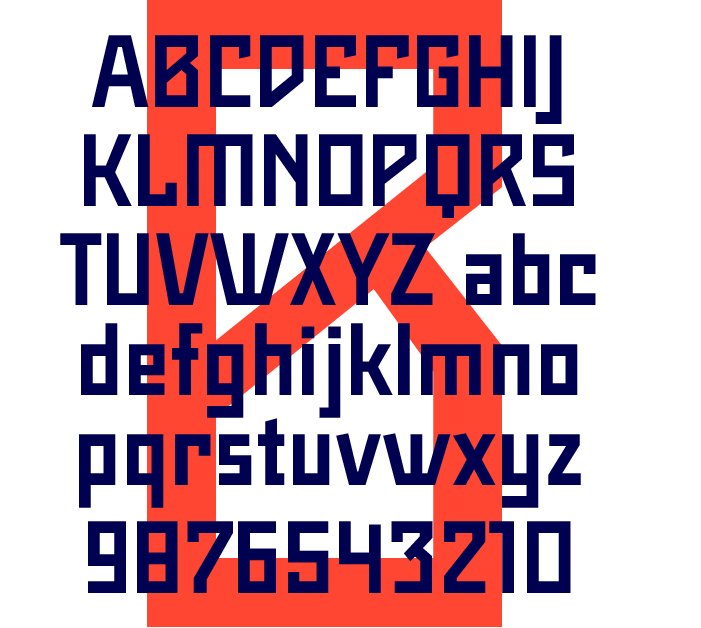 So many of today&apos;s supposedly "ultramodern" typefaces look quite old in comparison. 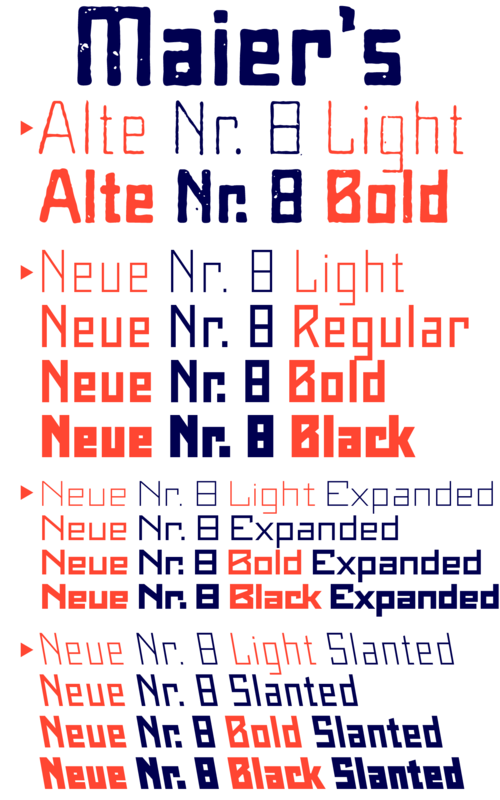 In addition to the original two weights, Light and Bold, the Maiers Neue Nr. 8 got a regular and a extra-bold weight. Furthermore, the Neue is also available in italics. Although this is only a slanted version, unlike common practice, it is inclined to the left. Maier&apos;s Nr. 8 is suitable for all European languages. The Maier&apos;s Nr. 8 Std includes the glyphs of the Unicode-groups ”Basic Latin“ and ”ISO 8859-1“ respectively ”Latin 1“ for Western Europe. Maier&apos;s Nr. 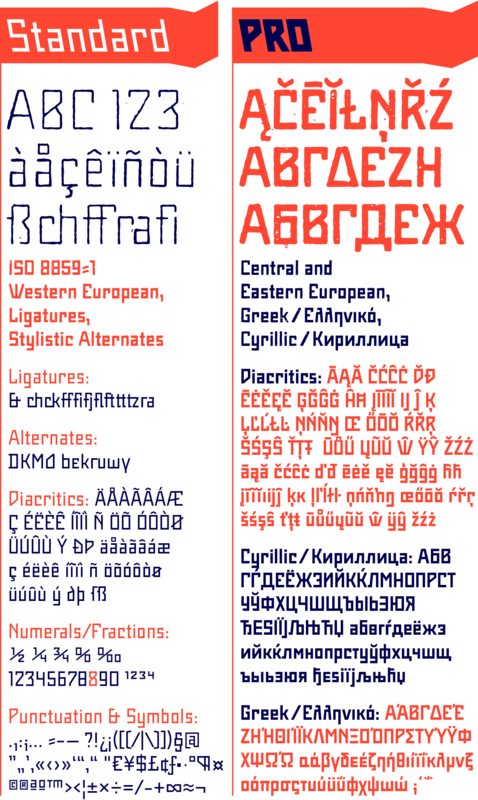 8 Pro includes ”Latin Extended-A,“ for Central and Eastern Europe incl. Turkish, and even Cyrillic and Greek, too.